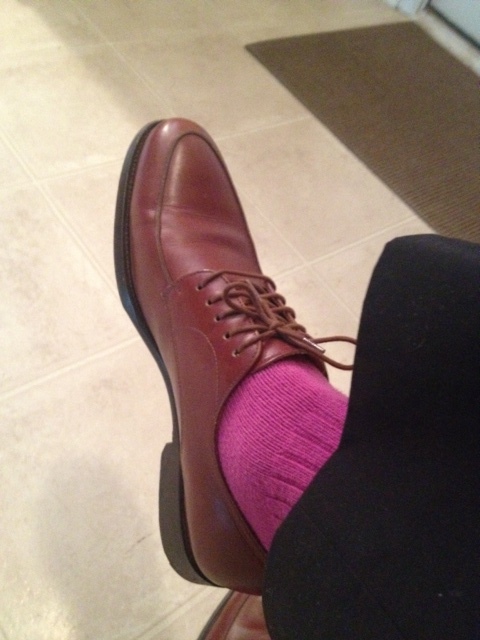 Brown dress oxfords from Saks Fifth Avenue. 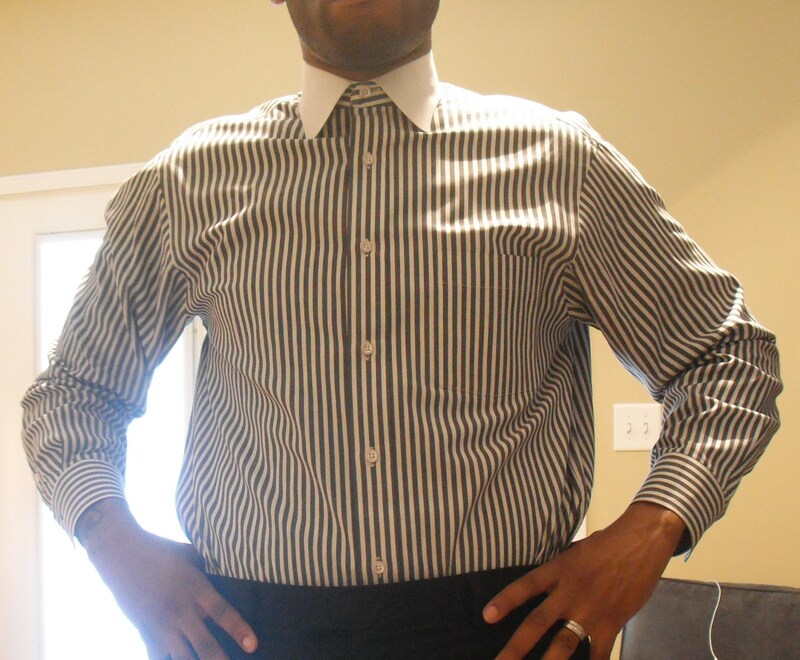 Black and white stripe dress shirt with the white spread collar is a thrifting find. 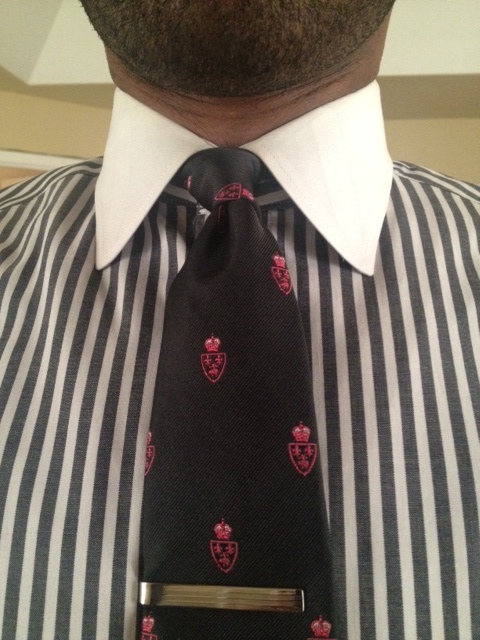 Black neck tie with magenta motif is by Brooks Brothers. Tie bar is by Banana Republic. 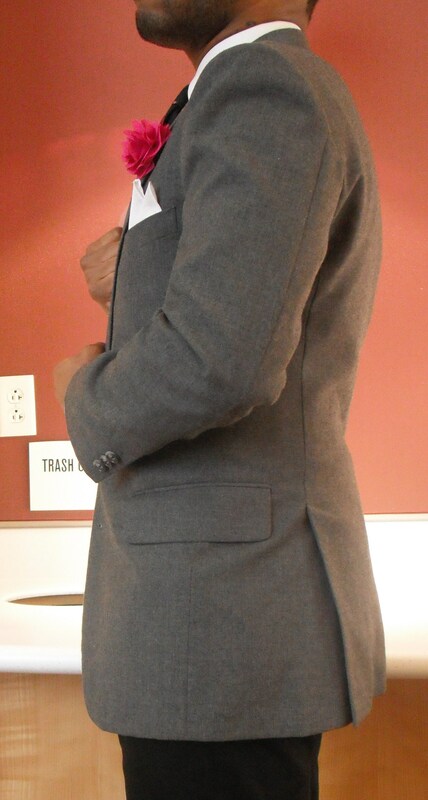 Classic Blazer with notch lapels, flap pockets, and side vents is now available for purchase in the Menswear Boutique. 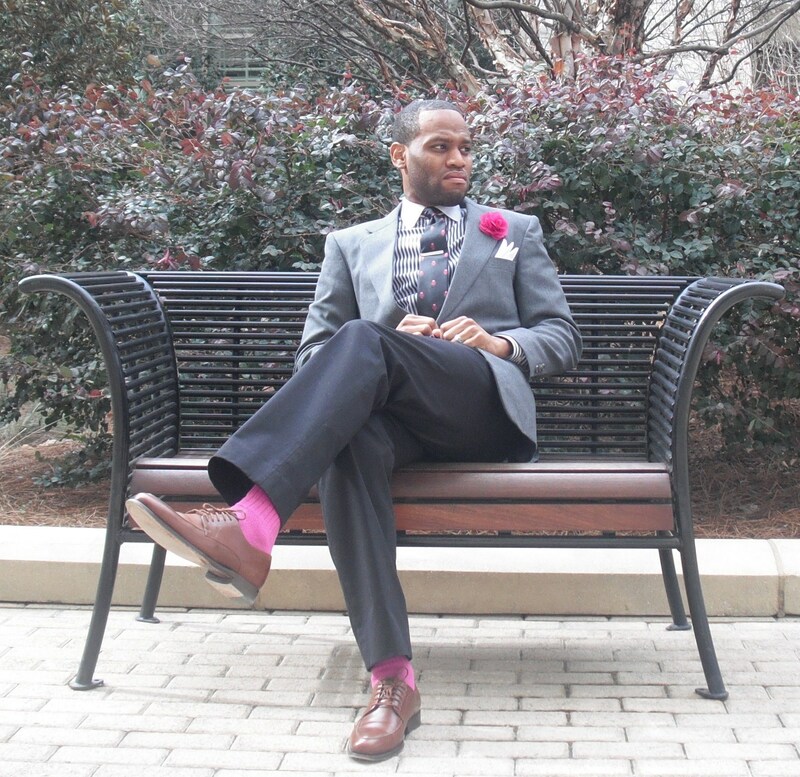 Click on the link to the Menswear Boutique below. 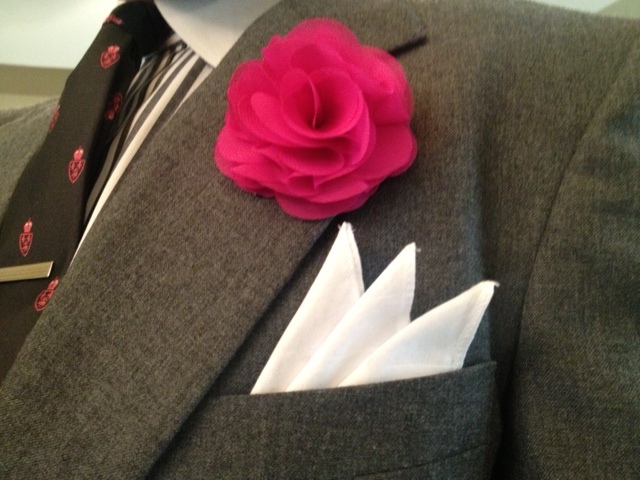 Magenta flower lapel button (not a pin) is a purchase from a craft store on the campus of UNC Greensboro. 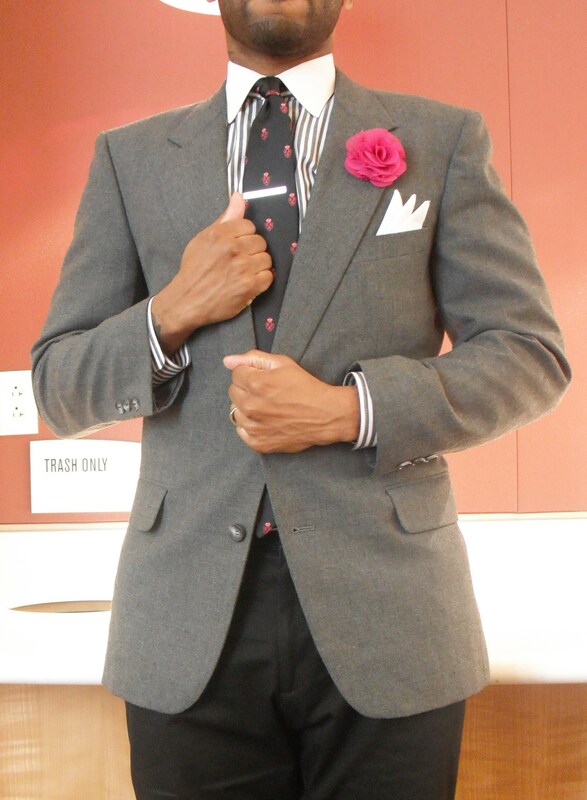 Classic white cotton pocket square. 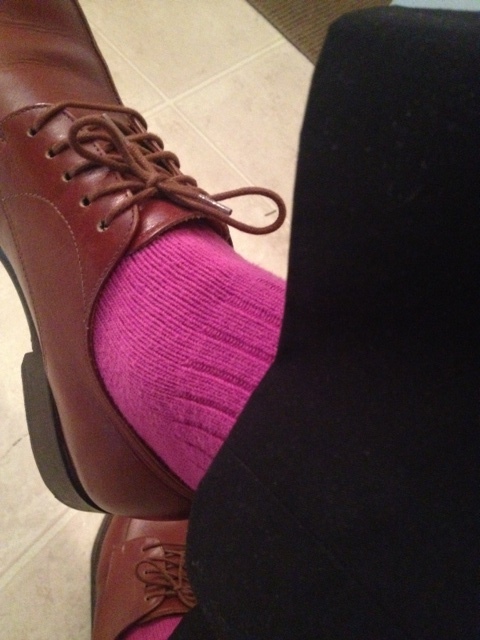 This entry was posted in Uncategorized and tagged Banana Republic, Brooks Brothers tie, Charlotte Style, flower lapel button, Magenta socks, Mens fashion, mens style, Menswear, Ralph Lauren, Ralph Lauren socks, Saks Fifth Avenue, thrifted, Thrifting, Wilbur Dow by wilburdow. Bookmark the permalink.